Quinn Slobodian and Dieter Plehwe take an historical perspective of euro sceptical neo-liberals. The question is if these eurosceptic neo-liberals are realising they do not need to leave the EU, but can capture it, or at least be co-opted into the power structures, to obtain their goals. Quinn Slobodian is a historian. His most recent book is Globalists: The End of Empire and the Birth of Neoliberalism. Dieter Plehwe is a researcher at the WZB Berlin Social Science Center. 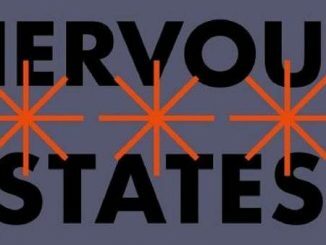 Since the advent of the European debt crisis in 2009, it has become common to hear descriptions of the European Union as a neoliberal machine. Critics see the EU as hardwired to enforce austerity and block projects of redistribution or solidarity. Such descriptions have migrated to the mainstream. “Those who say the European Union is a neoliberal plot,” observed the Wall Street Journal, “are, of course, largely right. Given this fact, it may come as a surprise that the intellectuals, think tankers and policy entrepreneurs organized in the actual existing neoliberal movement since the early 1990s have more often been the EU’s critics than its champions. Startled by what they saw as a tilt toward “social Europe” under Jacques Delors as European Commission president in the early 1990s, neoliberals formed Eurosceptic think tanks, including The Bruges Group in 1989, the European Constitutional Group in 1992, and the Center for the New Europe in 1993. Neoliberal Eurosceptics secured their biggest victory with the British vote for “leave” in 2016. The current website of the Bruges Group proudly claims to have “spearheaded the intellectual battle to win a vote to leave the European Union.” Beyond Britain, Eurosceptic neoliberals formed alliances with other anti-immigrant politicians and political blocs to produce a novel hybrid of libertarianism and anti-migrant xenophobia. The Alternative for Germany (AfD), formed by economics professors in 2013 to protest the official German conduct in the Eurozone crisis is a case in point, as is the Euro-critical Austrian Freedom Party. Where does neoliberal Euroscepticism come from? What are the intellectual origins of Brexit? A quick tour through the main think tanks provides some answers. Taking both inspiration and name from Thatcher’s speech, the Bruges Group was formed the following year as the first Eurosceptic neoliberal think tank. The leader was Ralph Harris, a veteran of the Institute of Economic Affairs and long-time secretary of the neoliberal Mont Pèlerin Society as well as its president from 1982 to 1984. Mobilizing against the specter of a “social Europe,” the Bruges Group brought in allies old and new. They showcased economists who had long engaged with alternative versions of European integration, especially related to currency policy, including proposals for parallel or competing currencies instead of the single Euro. Among them were then Mont Pèlerin Society president, Antonio Martino, who played a coordinating role in the Bruges Group and would become a founding member of the Forza Italia political party in 1994 and hold cabinet positions in two of Silvio Berlusconi’s governments. At the turn of the 1990s, there was a divide between the neoliberals of the Bruges Group who emphasized the importance of the nation-state as an ongoing locus of sovereignty and others who saw the very merit of European institutions in its ability to pickpocket national sovereignty for the sake of locked-in market freedoms at the supranational level. In a provocative departure from the right-wing neoliberals, Buchanan diagnosed a waning of the very sentiments of nationalism and patriotism to which Harris, Thatcher, and the Bruges Group appealed. Far from seeing nationalism as “healthy” or “natural,” Buchanan saw it as one of many “artificial” “dependency-induced loyalties” concocted by intellectuals to shape collectives to their own self-interested ends. Buchanan believed that the waning of nationalism created an opening for constitutional design. “Europe waits for its own James Madison,” he wrote, “who understands the constitutional economics of competition.” Significantly, he emphasized that a European constitution would need the right of secession. Without an exit option, the temptation of elite-led leftward mission creep would be too great. Following Buchanan’s prompt, the European Constitutional Group was formed in 1992 by German public choice economist Christian Kirchner. The ECG drafted a proposed European constitution in 1993 outlining a narrow set of supranational political capacities for the EU. Following Buchanan, they included the right of secession. If the constitutionalist contingent of Eurosceptic neoliberals, with a preponderance of German-speaking and Southern European participants, leaned toward internal reform, the British members of the Bruges Group edged toward rejection of the EU through the 1990s. From the prospect of internal reform, the British neoliberal Eurosceptics had moved by the end of the 1990s to the prediction of dissolution. 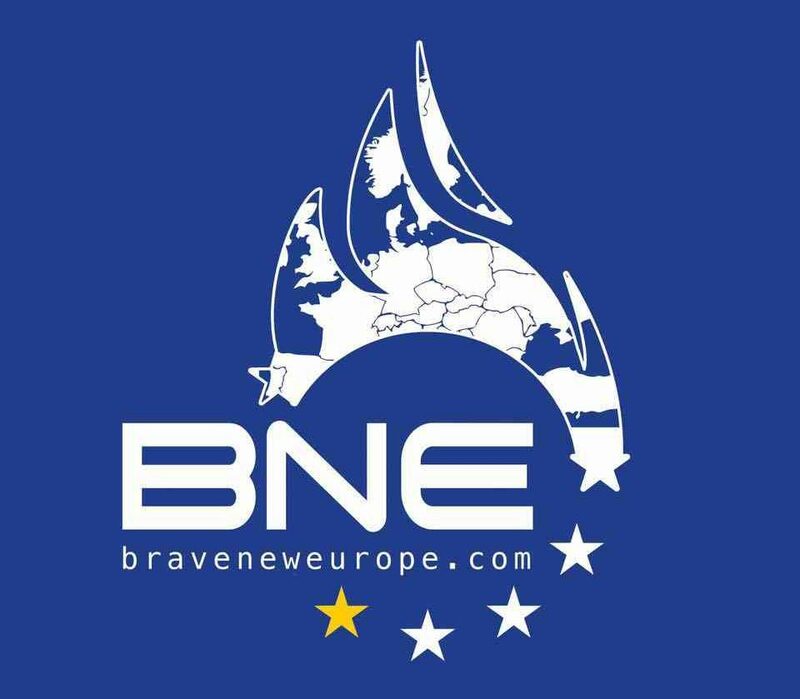 Beyond the UK, the most active neoliberal Eurosceptic think tank was Centre for the New Europe, founded in Brussels in 1993 by the Belgian lawyer Fernand Keuleneer and the Belgian jurist and journalist Paul Belien, who presented the new organization at the MPS meeting in Cannes in 1994. Ralph Harris of the Bruges Group helped secure funding, which came through the Roularta Media Group and the pharmaceutical company, Pfizer. The links to the pharmaceutical company were intimate as CNE’s vice-president into the 2000s, Catherine Windels, retained a parallel position there as a marketing executive. Belien’s own investment in socially conservative themes was reflected in his engaged activism in support of home-schooling as well as a polemical text opposing abortion, published by the Roularta Media Group, which hosted the CNE offices in their early years. Belien wrote the CNE’s first publication in 1994 and became an MPS member in 1996. Toward the end of the decade, Belien’s politics shifted further rightward. In 1995, his wife, Alexandra Colen, who had suggested the names for the CNE, entered Belgian parliament with the far-right Flemish separatist party Vlaams Blok. During her time in parliament, the couple published a “quarterly journal for the study of secession and direct democracy” titled Secession (Secessie). The journal’s website offered links to The Bruges Group and the CNE alongside right-wing libertarian Lewrockwell.com and the anti-immigration site, VDare, run by the former National Review journalist and forerunner of the Alt Right Peter Brimelow. Belien’s swing from reformist Eurosceptic to separatist xenophobic nationalist is an extreme case of a trajectory taken by others. A case in point is Belien’s successor as research director at CNE, the German philosopher Hardy Bouillon, who also established a branch office of CNE in Trier, where he taught and lived in the late 1990s. Bouillon was an MPS member and the CNE’s advisory board was heavily stacked with others. MPS members accounted for 22 of 24 advisors, including many involved with the Bruges Group. During his tenure at CNE, Bouillon became actively involved with the libertarian magazine Eigentümlich Frei founded in 1998, writing articles on libertarianism and sitting on its editorial board. According to the mandate of its publisher André Lichtschlag, the goal of the journal was to create an alliance between libertarians and the New Right. Lichtschlag followed the model set by American libertarian Murray Rothbard in the famous “paleo alliance” he formed in the late 1980s between the paleoconservatives of the Right, including Samuel Francis and others around the Rockford Institute, and the paleolibertarians centered around the Ludwig von Mises Institute in Auburn, Alabama. The latter regularly promoted topics of “race realism” as well as secession, neo-confederacy and the need for increased regulation of immigration. In 1992, Rothbard laid out a strategy of “right-wing populism” returned to innumerable times by right-wing libertarians since. The goal, he wrote, was to oppose Hayek’s approach of “trickle-down educationism” that targeted elites with a style that was “exciting, dynamic, tough, and confrontational, rousing” and appealed to the masses. Also known as the “redneck strategy,” the goal was to transform people’s natural dislike of politicians into a dislike for politics as such, thereby paving the way to a stateless society. Bouillon counted Rothbard as one of his favorite authors. Under his direction, the CNE took a similar route to the Bruges Group but with a bent toward radical right-libertarianism where the Bruges Group tended to a more staid Toryism. By the first decade of the 2000s, the CNE had established itself as the wild sibling of neoliberal Euroscepticism, flirting with anti-democratic strains of right-wing libertarianism and seeking a basis for an effective neoliberal populism. The breakthrough would come with the Eurozone crisis. Throughout the 1990s, a Eurosceptic Right formed at the European level with little effect on the individual national political landscape. The opening for neoliberal populist parties came after the financial and economic crisis of 2008. The formation of the Alliance of European Conservatives and Reformers (AECR), which today includes the Conservative Party of the United Kingdom and Law and Justice (PIS) of Poland, in 2009 was a clear expression of the increased confidence of the European New Right. The AECR was formally launched in March 2009 with the ten-point Prague Declaration, spearheaded by the British Tories and MPS member Vaclav Klaus’s ODS. The Prague Declaration linked neoliberal and conservative thinking, calling for both more free enterprise and stricter control of immigration. In 2010, the AECR launched its own think tank, titled New Direction – The Foundation of European Reform (ND). Expressing continuity with the genesis of neoliberal Euroscepticism in the late 1980s, Thatcher was the patron of the foundation until her death in 2013. Hans-Olaf Henkel, one of the founders of the Alternative for Germany, who later left to join the splinter Liberal Conservative Reformers (LKR) was New Direction’s vice-president. Henkel edited the first issue of their magazine in 2015, titled “That Sinking Feeling,” which pictured the symbol of the Euro descending into a dark sea as a shark’s fin approached. The magazine included an article by the veteran neoliberal Eurosceptic Roland Vaubel calling the banking union a “breach of faith” and another by MPS member (and founding AfD member) Joachim Starbatty questioning the positive impact of the Euro on the German economy. Neoliberal Euroscepticism had another institutional home. From 1988 to the 2010s, neoliberal Eurosceptics divided between demands for conservative reconstruction, on the one hand, and separatism and secession, on the other. Constitutional neoliberals, including some active in AECR, followed Buchanan and continued to angle for support from centrist parties in the hope to return to a more purist European economic union deprived of supranational authority in areas like environmental, social and immigration policy. Meanwhile, both constitutionalist and nationalist neoliberals have forged alliances with more and less radical nationalist and radical right wing forces to push for partial disintegration or even outright dissolution of the European Union. The three groups in the European Parliament representing this perspective–ECR, EFFD (including Farage), EFN (including Le Pen)–represent about 20 percent of the eighth European Parliament. Whether neoliberal perspectives in far-right groups like the AfD will win out over more welfarist “social national” tendencies in their own ranks also remains to be seen. Either way, the extent to which the share of the vote for parties of each of these group increases in the upcoming elections will provide a good proxy for the prospect of progressive causes at the EU level. What the above story makes clear is that it is senseless to contrast a neoliberal Europe against its putatively “populist” opposition. 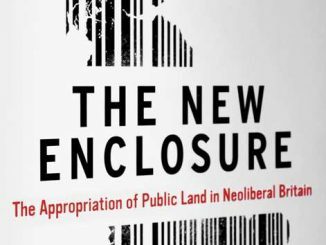 Anti-European neoliberalism is a political position with its own cast of characters and a clear pedigree. Any future description of Europe as a neoliberal plot must acknowledge the neoliberals who have plotted against it too. Erika Harris – Does Zuzana Čaputová’s victory signal a new kind of politics in Slovakia? Very interesting and frightening. Nevertheless it does not negate the fact that the EU is an entrenched neoliberal, and undemocratic (though perhaps kinder) entity. The frightening aspect is that we could end up with worst of all worlds with long term dominance of a homegrown and very nasty Ree-Mogg version of Toryism. However, I think this is unlikely and Corbyn will win out against the Torys and his own rather nasty Blairites.